Last year's TAVES involved a partnership of Suave Kajko and Simon Au, both from the Toronto area, as well as Michel Plante and Sarah Tremblay, organizers of the well-established Montreal Salon Son & Image (SSI). Michel and Sarah also brought with them most of their staff from SSI. Suave and Simon were new to "show" business, so when it was announced that Michel and Sarah were not going to be involved in this year's show, there was some concern. Would these Torontonians have the élan, the savoir faire, the je ne sais quoi needed to run a show like TAVES. Mais oui! It was a great show! 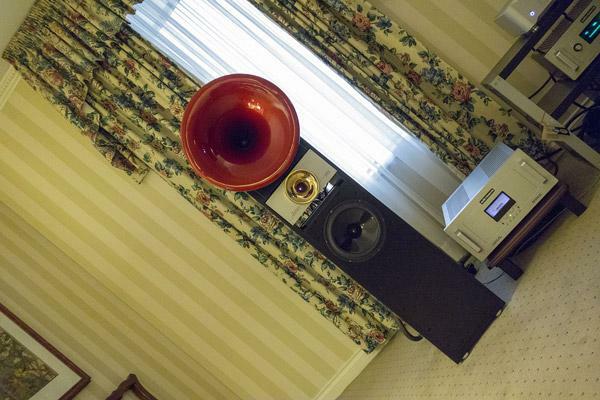 The most expensive audio system at TAVES 2012 was in the main ballroom. 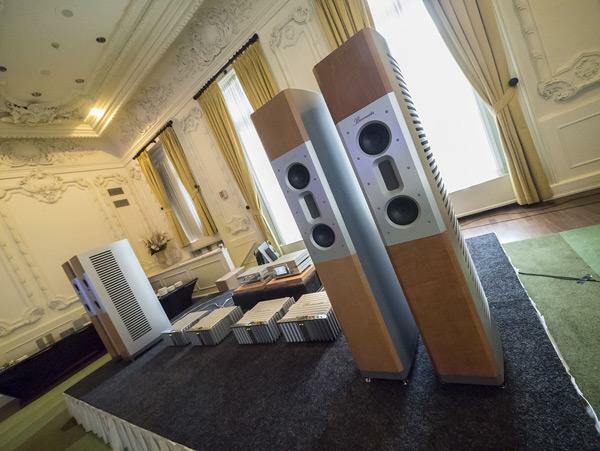 With components from Burmester's Reference line, the total cost of the system was $500,000. That's according to the advance write-up in Canada HiFi magazine. At the show, I heard $600,000 mentioned as the price. But I guess that when you're at that level, what's an extra $100,000? The system was playing during the show and served as PA system for the concert by Cindy Gomez. How did it sound? On its own, not at the concert, it sounded very good indeed, especially considering the size of the room (huge) and the lack of acoustical treatment. At the concert, it sounded like it could have been any PA system. John Atkinson reviewed the Acapella High Violoncello II speakeran esoteric item with a horn-loaded midrange and ion tweetertwo years ago. His conclusion: "This admittedly expensive German speaker really is one of the finest-sounding speakers I have had the pleasure of using." How expensive? $80,000/pair. Is that too much for you? Well, TAVES 2012 had a demo of the Acapella Violin 1, which is a "mere" $45,000/pair. In a system with Audio Research Reference electronics, the Acapella Violin 1s sounded magnificent. 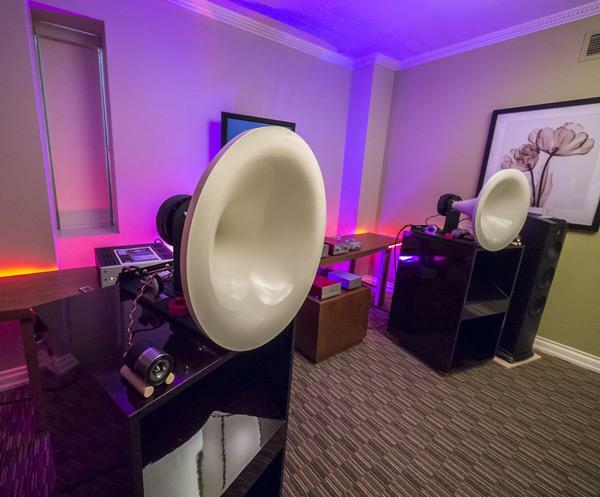 The Audio Zone Eliminator speakers ($8900/pair) have a distinctly DIY look, aimed at providing maximum performance with no concession to decor. Bass and midrange are both horn-loaded, the bass using a reproduction of the Electro-Voice DX-15 driver, the midrange a Selenium D330 compression driver, and a Fostex supertweeter. Claimed sensitivity is an astonishing 120dB. The Audio Zone Eliminator is built to order. Audio Zone also offers a variety of amps and preamps (active and passive), at what seem like very reasonable prices (eg, 50W Op-Amp Integrated, $1595), all made in Canada. I'm a great admirer of Quad electrostatics. . . Location, location, location. Although there are more factors that go into a successful audio/video show, unless the location and the venue are right, it's really an uphill battle. The organizers of the Toronto Audio Video Entertainment Show recognized that unless the show is in location that's convenient and has a venue that's attractive, only the most devoted audio/videophiles will attend. 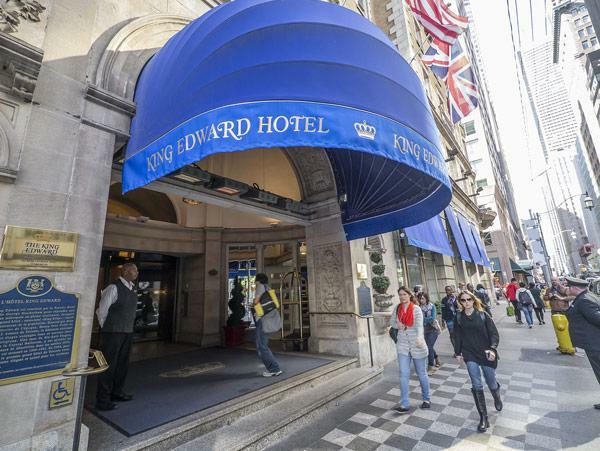 They got it right by selecting the King Edward Hotel, a luxury hotel in downtown Toronto, with many restaurants nearby, and also close to theaters. All right, so parking is expensive, but the King Edward is steps from the subway, so it's easily accessible by public transit. 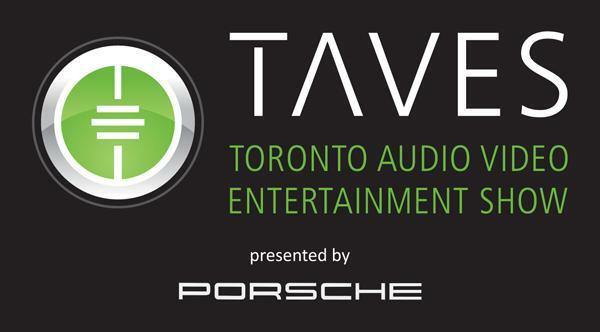 The Toronto Audio Video Entertainment Show (TAVES) launches its second annual three-day show on September 28 in downtown Toronto's historic King Edward Hotel. Produced by Canada HiFi's publisher/editor-in-chief, Suave Kajko, and his partner, Simon Au, and "presented by Porsche," TAVES promises multiple exhibit rooms in which between 65 and 70 exhibitors, over 80% of whom are manufacturers, will display approximately 274 component brands and media from 26 recording labels (CD, LP, and Blu-ray). "I'm pretty excited about the preponderance of manufacturers, because they tend to have more elaborate set-ups and bring a lot more product with them," Kajko told Stereophile.